When I first heard this Radio Dept. song I thought I was hearing the beginning of White Town – Your Woman but that definitely wasn’t the case because I check out that song on youtube and they sound nothing alike, I guess thats how long its been since i’ve heard White Town. I really like this David song, it doesn’t follow any trends, the panning on the harp going by at a certain part made me laugh a little, the catchiness and instrumentation might not start a dance party but i’m sure if you played it for friends they would ask who it was. Some people might not be into Juan Atkins(aka Infiniti), like right now i’m trying to pretend i’m hearing this song for the first time and i’m not from the Detroit area, alright wait okay mind blown at 1:08 & 2:06, i’m sold. Grand National came along and were overshadowed by The Rapture, Interpol, and The National but if you have even one ounce of excitement when a good slower Indie Dance Rock comes along then this song will definitely give you goosebumps when the bassline drops in and when he says “I blame it on myself ‘cos i can’t keep anything down”. 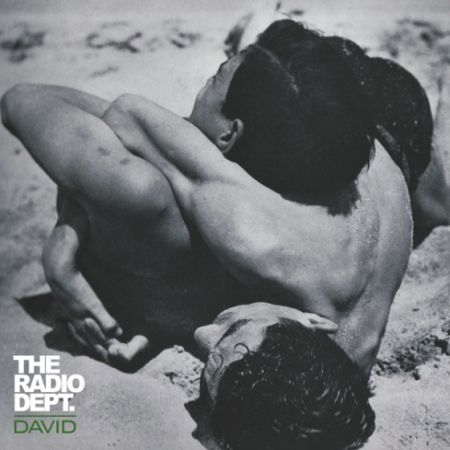 Radio Dept. never ceases to surprise me. I find myself not enjoying things right off the bat until a few more listens and then I’m pretty much hooked. Their entire catalog is amazing though. I know this is offbeat, but what is your opinion on the new track created by Deadmau5? He takes his sound in a completely different direction. Believe it or not, sounds similar to some of the Tycho tracks. Sort of a side note, but that Grand National track was remixed on Sasha’s original Involver album. Still one of my favorite albums of all time! That’s a very Smith’s-esque cover! Same at director I wonder? I am a huge fan of Radio Dept. and I’ve been following them since Pet Grief. David is a great new track, and I’m pretty excited about a new record since it is way overdue. I pretty much like anything that comes off of Labrador though. I’ve been following Grand National since Kicking The National Habit came out. I wish they got more attention, because I think they are a great band. Drink to Moving on is another standout track from that album. Being from Argentina myself, im stoked to see your shout out to Lalo Schifrin. He also composed the track to the Pink Panther you know. i remember pulling out the metroplex original 12 of game one at a friends house one night before we were djing. had not heard it before and it absolutely blew me away. picked up the double pack remixes since but would love a metroplex original pressing. timeless stuff.